Various Artists - Goa Vol. 65 (Compiled by DJ BIM & Materia) (2018) | Free eBooks Download - EBOOKEE! Together they like to take you with Goa Vol. 65 into a real deep journey of magic and high quality Progressive and outstanding Psychedelic Trance taken from today's wide spread range of Goa Trance. Featuring Artists like Burn In Noise and Mental Broadcast, Egorythmia, Materia and Waio, Mindfold, Escape and Sinerider, Serenity Flux, Attik and Intelligence, Static Movement and Cosmic Tone, Plasmotek, Ilai, Makida, Brainiac, Neuroplasm, Ananda. 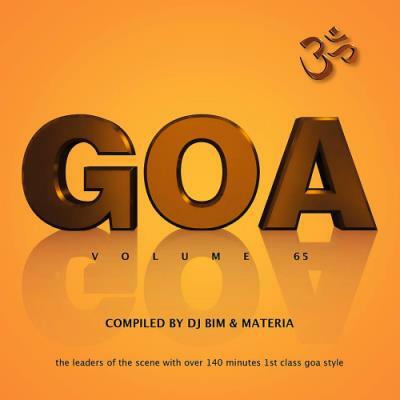 No comments for "Various Artists - Goa Vol. 65 (Compiled by DJ BIM & Materia) (2018)".